The government has released draft legislation on some of the proposed amendments to TRISs which includes further details on the application of CGT relief for segregated TRISs. The government has released exposure draft Superannuation Reform Package – Minor and Technical Amendments for public consultation following the amendments to transition to retirement income streams announced earlier this month. 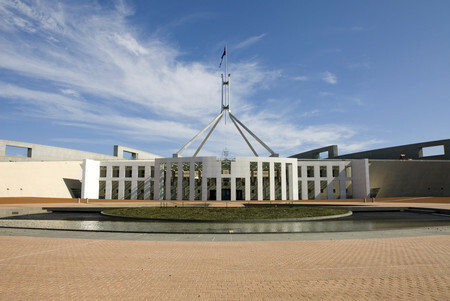 Colonial First State executive manager Craig Day said that under the previous rules, an SMSF using the segregated method that was in receipt of a transition to retirement (TTR) pension would have been required to commute that pension by the 30 June 2017 to apply the transitional CGT relief. This recent draft legislation, however, proposes moving the date required for commuting the transition to retirement pension back by one day. “This will therefore allow an SMSF, that has a member who is receiving a transition to retirement income stream, to elect to apply the relief without having to commute the TTR pension,” Mr Day told SMSF Adviser. Unlike the transfer balance cap rules, there’s no real requirement for a person receiving a TTR income stream to have to commute their pension, he said, but previously if an SMSF trustee wanted to apply the CGT relief, they would need to do that if their SMSF was using the segregated method. “However, what this now confirms is that they’ve effectively pushed the date back by one day, which means that those assets that were supporting that TTR income stream will cease to be segregated current pension assets within the required period without actually having to have to commute the pension,” Mr Day said. Mr Day said the draft legislation also confirmed that TTR pensions will effectively be able to auto-convert to an account-based pension where the member has met a full condition of release. “It’s interesting they haven’t confirmed that a TTR automatically converts to an account-based pension, instead what they’ve said is that they’ll extend the zero tax treatment to those pensions where someone has satisfied a condition of release,” he said. He noted that this could result in some issues where someone has a large TTR pension that is over $1.6 million. “If that automatically converted, that may mean they end up with an excess transfer balance cap problem, because if that was to occur, there would be a credit rise in that member’s transfer balance account from the time that they satisfied that condition of release,” he explained. SuperConcepts’ Graeme Colley said previously the ATO suggested that this wasn’t an automatic thing and the trustee may need to provide some sort of indication this financial year whether they would convert the TRIS into an account-based pension. “Going forward, I can see some issues around [this proposal] because what it’s saying at the moment is that if you have a transition to retirement pension and you meet that condition of release, then it falls into retirement phase,” Mr Colley said. This could be an issue for some people where they take up a part-time job, and stop that part-time job after age 60, because that means they will move from a transition to retirement pension into an account-based pension because they’ve met a condition of release. Some people won’t appreciate this, Mr Colley said. “There were some people who were actually pleased about the ATO’s interpretation, because they could keep a transition to retirement pension going forward. With these draft regulations, however, we’re now seeing that transition to retirement pension now become an account-based pension, simply because they’ve met that condition of release. DBA Lawyers director Bryce Figot noted that SMSF trustees need to understand that this automatic conversion only relates to the tax treatment of the income stream. “I think there is some danger that people will think that their TRIS is going to automatically convert into an account-based pension, but that’s not what this change is doing,” Mr Figot said.